You’ve got to admire Google’s dedication to delivering precisely the information that users are searching for. Over the years, the way search results are presented has changed considerably. Now, in place of rows of text links, we’ve got lists, cards, images and videos. OK a lot of those are reserved for the likes of the big boys such as Google Maps and Wikipedia, but did you know there’s a place for us too? Google’s Position Zero, also known as Featured Snippets, is the latest, most sought-after ranking position. Gone are the days when your focus is on getting to the #1 spot; now your SEO strategy needs to have its eye zoned in on Position Zero. Let’s take a look at just what this Holy Grail of search engine land is, why you need to be pursuing it, and how to bolster your chances of achieving it. What is Google Position Zero? Position Zero, or a Featured Snippet, is a summary of an answer to a question. You’ve already seen them perched right at the top of your search results whenever you ask Google for advice on something. The snippet is an extract from a web page. It includes the summary answer to the question, often an image plus the link to the page where the answer came from. Why do I Want to Achieve Position Zero? Imagine if you’ve done all you can – really put in the blood, sweat and tears – and you’ve managed to nab the number one position in the search results. Now you are also answering specific questions via your content, and because Google likes the way you’ve dealt with it (more on that later), you’re also occupying the spot ABOVE the top result. How great does that look for your brand? So there’s brand recognition. But how about this: Hubspot research says that Position Zero pages will get 114 per cent more visitors than the page in position one. So wouldn’t it be frustrating if you’d done all that hard work to get to #1, only for another website to steal your thunder with the Position Zero spot? It sure would. Is Position Zero right for my business? If your business is all about answering questions, then absolutely yes, Position Zero is likely to work for you. 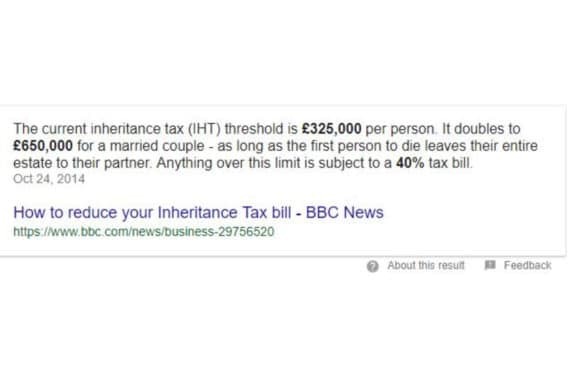 For example, if you are in the business of offering financial or legal advice, answers to questions that are regularly searched such as, ‘What is the current Inheritance Tax threshold?’ could be pulled from your content. 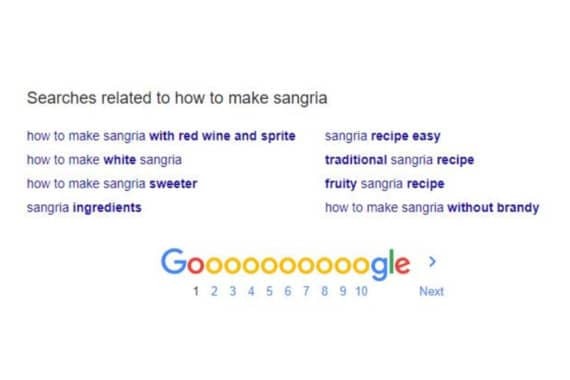 Research states that the most popular types of search terms that return Featured Snippets are health; finance; time; DIY; mathematical; requirements and status. If you are a small business with a local reach however, then your best strategy is local SEO. Local, factual and shopping searches rarely return Featured Snippets according to research. Further, if you’re not too great in the search engines generally and need to boost your rankings overall, then there are other SEO methods you should be setting your sights on. A good SEO company will analyse your individual situation and goals and recommend the best way forward for you. But let’s get back to Position Zero. Because if it is right for your business, then you’re going to want to know how to achieve it. 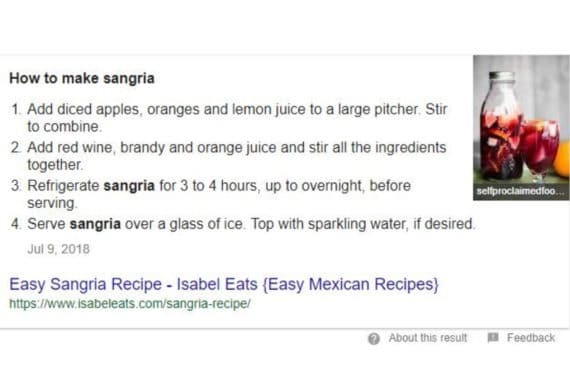 What influences Google’s choice of Featured Snippets? Hubspot’s research reveals that the regular ranking factors we’re all used to, such as site authority and links, don’t necessarily work in the same way for Position Zero. Google tends to choose page one results; answers that are wholly relevant, and helpfully formatted content. So in other words, you need to be ranking well in the search engines; producing content that is relevant to the search term; and formatting your content so it’s easy to read. Let’s take a closer look at the ‘hows’. How to achieve Position Zero? It all starts with selecting your top ranking keywords, the ones that are really working for you, and then devising questions that match them. The keywords need to be what, how and where style questions. Once you have these, it’s time to craft your answers. And this is where you can get onto a winner. Most answers that occupy Position Zero tend to be around 54 to 58 words. That doesn’t mean though that the website page, online guide, article or blog that contains the answer should be that length – on the contrary – Google adores long, well-structured content that offers in-depth insight into a subject. Instead, craft a nice summary that provides an answer to the main question. 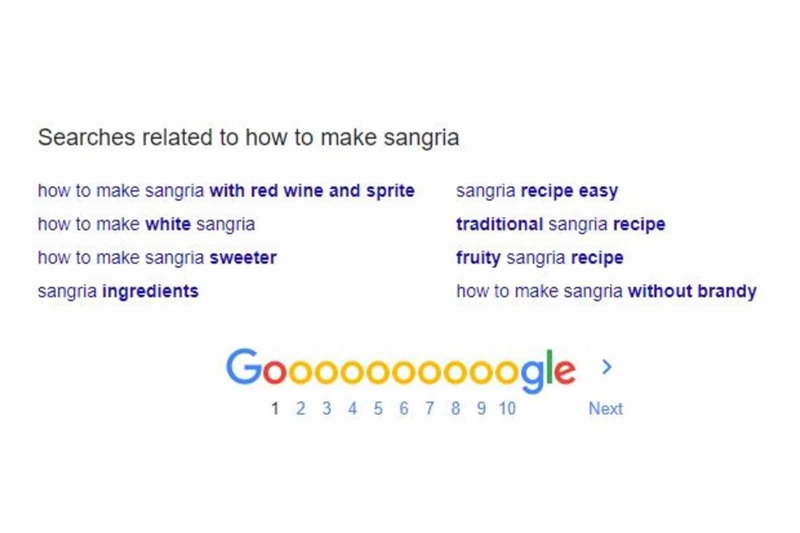 What type of answers does Google like for Featured Snippets? It is not always straightforward to answer a question in just a few words. Sometimes, especially when you are trying to explain how something works, it’s easier to use lists or tables. This is all fine and Google will present your list or table in the snippet. If you include a featured image within your content, then this will usually feed in alongside your answer too. Take a look at this example of a Featured Snippet for the question, ‘How to make sangria’. 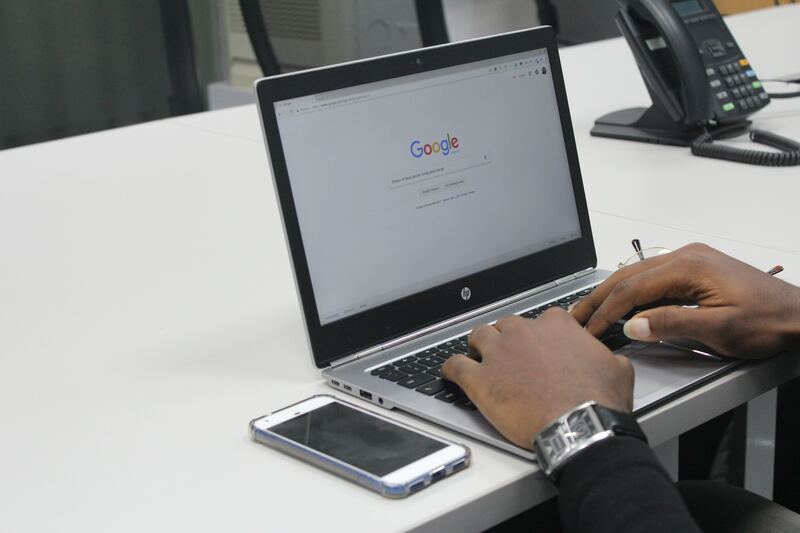 Other factors that attract Google’s attention include relevant headings and callouts within your content that draw attention to the core subject matter. 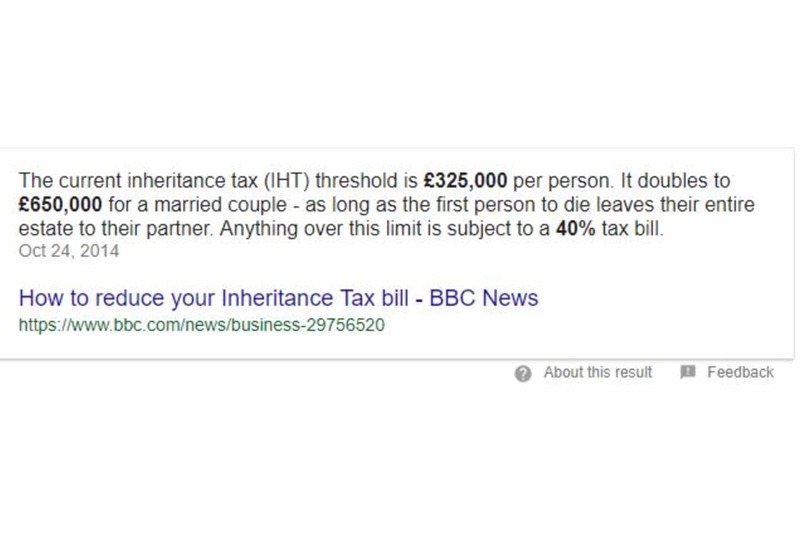 How can I maximise my search engine success using Featured Snippets? You’ve seen it no doubt when you search for answers: a whole list of searches related to your question. If you want to really boost your chances of achieving Position Zero slots across a host of search queries, then your task is this: check the related searches, and answer those questions too! Excited about achieving Position Zero? It’s a coveted top spot that’s for sure. So in summary: you’re already doing well in the search results; you’ve designed your content to answer specific questions and you’ve done your work with headings, lists and callouts… there really is no reason why you shouldn’t be achieving Position Zero! If you’re not, then you may need to give your SEO some TLC. Need some help? Talk to Figment!